Back in 2016 we built a new multisport challenge for athletes of all levels, from the weekender to the elite. Leave the bike gear at home, this race is a duathlon that consists of multiple swim and run sections with seamless transitions between them. You will be running through the some challenging trails as well as hardpacked trails of the Dickerson Mine Preserve and swimming in the glassy lakes of Randolph and Mine Hill. rip those hills...and do it all right here in NJ. Randolph, NJ is less than 50 miles from Manhattan, Princeton or Bucks County, PA, ... so come check out the the scenic beauty of the lakes and the challenging trails and support a local event. It will certainly make for an epic adventure - even without a bike! This race is a qualifier for the U.S. National SwimRun Championships. Winners of the Team Long Course event qualify for free entry into the SwimRun event held in Richmond, Virginia on October 19, 2018 !!!!! Note: Fees increase after Memorial Day Weekend! · Elastic tether between teammates for swim legs. 30’ max length. Toggle carabiner or other quick release device must be at each end. · Failure to possess or use as required is grounds for disqualification. · Course Map – map provided by race. · Aid stations will be at two one location on course and one at the finish line. · Team members must remain together at all times throughout the event and cannot be more than 10 yards apart. · The race organization reserves the right to cancel the event, alter, shorten, hold-in-place or otherwise change the course at any time as a consequence of weather or other unexpected course conditions that may jeopardize the safety of athletes. · A Course Cutoff will be established on the Long Course that must be reached by a certain time in order to continue racing. Organizers reserve the right to modify these times during the race as conditions require. · A team that has withdrawn from the race shall report to the finish line as soon as possible. SwimRun is a type of aquathlon, a continuous, two sport race involving multiple stages and various distances of swimming and running. How do people in other SwimRun events carry their gear for one discipline while doing the other one? There are all sorts of creative solutions. Some people shove their running shoes down the back (or front) of their tri suits while swimming. Some use a strap or bungee to affix their pull buoy to the outside of their thigh or their lower back. Some use super-lightweight drawstring knapsacks (with a cinch strap) to carry everything. Some attach hand paddles to a carabiner that is attached to a race belt. There are categories for both 2 person teams and solo. No, there will be no classic transition areas like in a triathlon. The event is seamless between the swimming and running stages. How do I keep my shoes dry? Keeping shoes dry will cost you time but if you need it, you can be as creative as you would like. Waterproof dry bags and other similar items are allowed. However, it is most common to wear lightweight shoes that do not get bogged down with water, and just swim in your shoes (that is why you can use a pull buoy). Do I need to carry my food/water? Water stops will be provided. You may wish to carry some nutrition especially if you usually train with a specific fuel. However, no littering! What kind of surface will the run segments take place on? All run segments will be on single track trails and sandy rail trail. Trail difficulty ranges from easy (flat) to moderate hilly. What kind of water will we be swimming in? All swim segments will take place in freshwater lakes. The event take place in August – so water should be warm - no need for a wetsuit. Will there be a mass start or wave start? This event will be a mass start (unless the race directors decide otherwise). Do I need to follow a map? This will be a fully marked course – no navigation skills required. You can review the course maps and pre-view the run segments. Maps will be added to this page shortly. If you can swim a bit & run a bit – then you can do it. We aim to have a photographer available on race day to get photos of the racers on course. Will there be water or nutrition on the race course? We will provide water and some nutrition (gels) at several water stations along the run course. Volunteers are able to get involved with the race while having fun watching family and friends. If you are interested in volunteering, please EMAIL US. What do I need for Registration/Packet Pick Up? Early bird packet pick-ups are Friday 4p-7p and Saturday 5:30a–7:30a at Randolph Lake. You must bring a photo ID to packet pick up. (If you are a USAT member, you must bring your current USAT card). Each participant must pick up his/her own race packet. Friends/Family cannot pick up race packets for each other. There will be "day of" registration. At registration, non-USAT members must complete a 1-day license form in order to compete. Will I receive a confirmation packet? No. You confirmation is sent via email. If you receive an email, your registration was successful. The race will sell out at 350. There is a fee increase as the race date approaches. Also, our event is sells out very quickly, so the risk of not getting in increases the longer you wait. May I register my friend online with my credit card? No, each person must register online for themselves. They may register using your credit card number and expiration date with your approval. The reason is that the waiver must be read and agreed to by the participant. An email confirmation will be sent to the email address typed in, as soon as you finalize the transaction. Keep a copy for your records. How challenging is the race course? 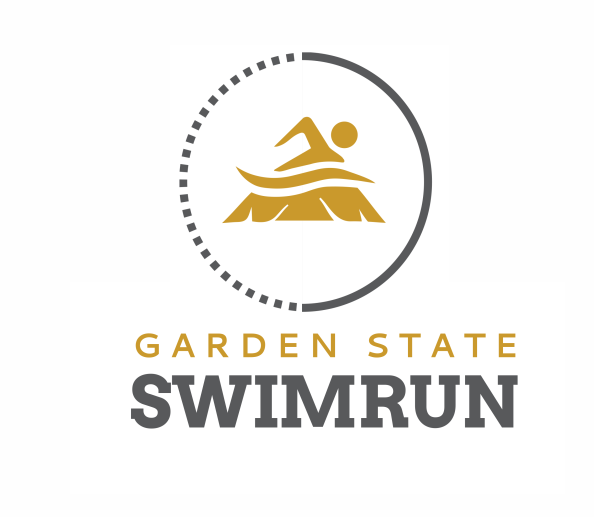 This course will have a little more swimming than a sprint triathlon but it will be broken up. To aid in the swim we are allowing pull buoys on course which you can strap to your leg for the run sections. The running will have some small hills to climb but also some fast break down hills. A portion of the trails are immaculate and you will feel like a champ as you sail through them, while others are bit more technical and rocky.